iSeries SYSLOG converts and forwards any AS400 event log type to a SYSLOG Server or SIEM in CEF format with key value pair data in real-time, including system security journal QAUDJRN, DB2 database file changes and reads, application exit point logs, history log QHST, message queues, SQL statement audit logs, IFS and encryption log. IBM iSeries logs are converted and forwarded to your SIEM or SYSLOG Server in Common Event Format "CEF" with key value pair associations for automatic parsing. Configuration and forwarding can be setup in under a minute, with option to send all event logs or suppress specific users and log types from transferring to your SIEM or SYSLOG Server. Installation and configuration is provided for free, including for trial evaluations "POC". Some of the more common SYSLOG and SIEM tools supported are: QRadar, Splunk, McAfee, LogRhythm, Solarwinds, Alert Logic, RSA enVision, HP ArcSight, AlienVault, Kiwi, SYSLOG NG and any other logging tool that supports Common Event Format “CEF”, custom CEF “CCEF”, NFX and like industry formats. 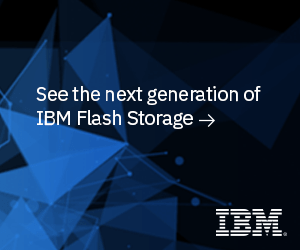 The robust filters allow you to control which events get forwarded or omitted from your IBM iSeries, as well as including or suppressing user groups, which will minimize impact on your system resources, disk and bandwidth utilization. The SIEM and SYSLOG forwarding tool can send IBM iSeries event logs in real-time or in scheduled batches. All IBM iSeries event types are supported and converts all event logs into a format your SIEM SYSLOG Server can read and parse properly. Database Changes & Reads "Journaled DB2 file access including before & after images"
SQL Statements "Interactive SQL, QSHELL database functions, embedded SQL and Queries"
Send any IBM iSeries, Power AIX or OS390 Mainframe system log event to any SIEM or SYSLOG Server that supports Common Event Format “CEF”, custom CEF “CCEF”, NFX and other accepted industry formats, including Splunk, McAfee, HP ArcSight, IBM QRadar, Kiwi, Solarwinds, Alert Logic, RSA enVision, LogRhythm, Secure Analytics, netForensics, WinSyslog, WhatsUp Gold, Novell, Syslog NG and Cobrasonic. SYSLOG Collection Criteria: Midland's security system can pre-filter iSeries events for each Data Source to prevent sending non-relevant data using a number of selection criteria and/or using boolean expressions to define your selected event types. For example, with extraction of events from the IBM Audit Journal you can specify to include or omit specific groups of users, choose which of the IBM audit journal types are relevant to your extraction and even which groups of objects the events should relate to. 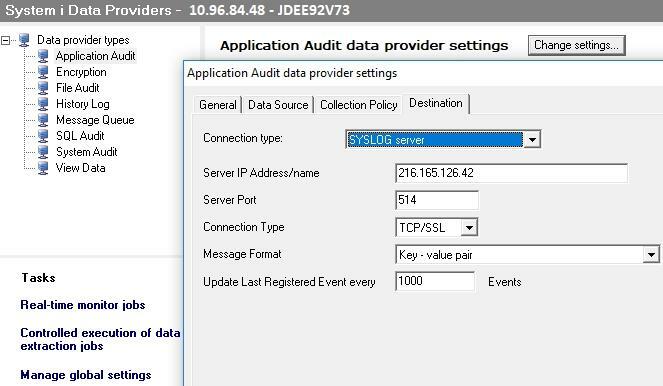 Similarly with Application Audit, the administrator can choose which exit point (application server types, such as FTP, ODBC/JDBC) events are sent to your SYSLOG server, and whether only violations should be sent or all. For further filtering of the events, a Query Wizard is available to define the extraction, such as events relating to libraries beginning with Q*, or generated by a specific group of jobs. Tailored for SYSLOG and SIEM frameworks: All the administrator has to do is choose where to send the extracted iSeries event logs by entering the IP Address and Port of the SYSLOG or SIEM server, as well as the desired format. Midland's security system can send IBM iSeries events to any SYSLOG or SIEM Server for analysis. Midland's security system has created specific processing formats for RSA enVision, ArcSight, Netforensics and Nitro Security. Other SYSLOG Servers and SIEM tools that utilize a more standardized SYSLOG formats such as Kiwi, Splunk, SolarWinds, WinSyslog, WhatsUp Gold and other tools will conveniently work using the standards based format. Events can also be sent to the Cross Platform Audit log management and archiving. The CPA is an ideal tool where IBM platforms and databases need to coexist with other platform and database types within a single repository for audit log archiving and analysis. Don't have a SIEM Security or SYSLOG Server yet? We have a few SIEM and SYSLOG solutions to show you, depending on your objective is. If you have a log source that is incompatible, we have many agents that can be used to forward your event logs: IBM iSeries, IBM z Mainframe, IBM AIX, Windows, Linux, Unix, Solaris, Oracle, DB2, MYSQL, Progress & SYBASE.